I've been super busy with various work projects which means that my personal projects have been baby related lately. 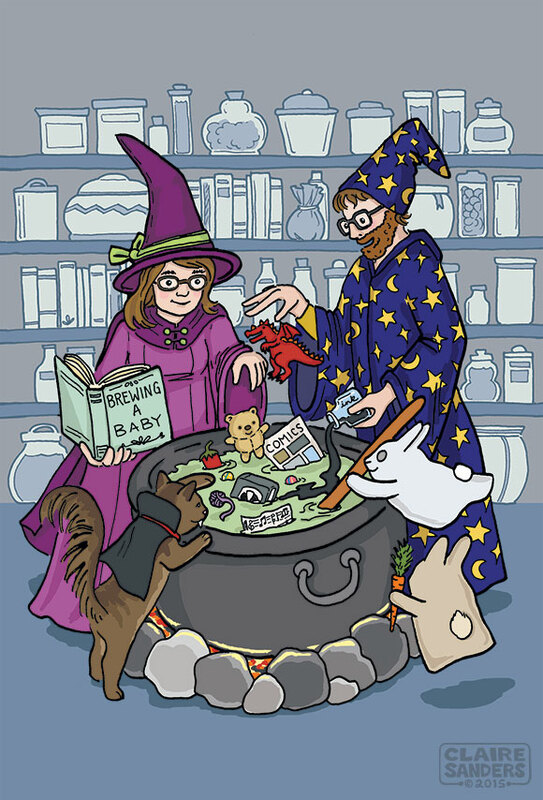 This illustration is no exception, I made it for our baby shower invitation. We're having it around Halloween, so I figured a wizard theme would be fun. Our cat Webby is dressed as a vampire and helping add cool things to the baby brew. My bunnies Patty and Selma, who have passed away, are still helping out as little ghosts. It was fun thinking of different things to represent Alec and my interests that we would want to make sure our baby was into too.